You are more valuable than you think. Adding yourself to the Connectivity network increases your exposure and drives new demand for your services. Connectivity allows you to focus on building your business while our network of interpreters support it. A user friendly affiliate network. It’s simple! Drive traffic and get rewarded. Service new customers in locations outside your local community. Be at the customer location instantly without ever leaving home, yet access visual cues and environmental context as though on-site. Around the world demand for You has never been higher. Register today and become one of the many Connectivity interpreters who make a difference. Connectivity services are priced on a pay-for-what-you-use basis with no minimum commitments. 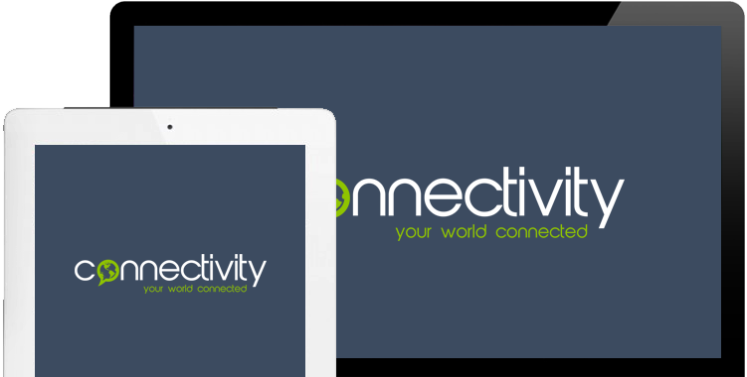 At Connectivity, it is all about the quality of our customers’ communication experience. The better their experience, the higher your customer ratings will be and the greater the demand for your services. We provide a hosted video and text based interpreting solution, fully integrated with our digital communications platform which streamlines interpreter access and the connectivity essential for routing and completing video remote interpreting calls. All of this is fully interoperable with a variety of backend applications and administrative functions without the need for special equipment or technology. Great experiences require not just great interpreters or devices, but a seamless integration of hardware, software, and service delivery infrastructure. We work diligently supporting the robust technologies, methodologies and processes which are used to make your customer experience second to none. Your voice is paramount to how we work. We work collectively with our customers to generate new, creative ideas for our products and services so that we continually innovate and help to remove real world communications barriers. Challenge conventional thinking is key to how we work. We are honest and straightforward. We honor our commitments and strive to exceed your expectations as well as those with whom you communicate when using our interpreting services. Your opinion matters, and how you rate your experience becomes part of a 360° internal communication process designed to continually improve the customer experience. Connectivity will support your growth by pushing call volume to you and your interpreters, as well as enabling you to drive growth by easily leveraging our interpreters when you have limited to no available interpreter capacity. We backstop your capital and operational risk each step along the way. The Connectivity ACD, with its flexible inbound routing architecture, has standard as well as customized call handling features including call routing and queuing; interactive voice and text response; skills-based routing; geo-location based routing; priority queuing for emergency calls; and a host of other capabilities. We provide customers with a comprehensive online portal for managing your interpreting accounts. From viewing your scheduled appointments and usage data to managing billing, the online portal makes self-service management of your accounts easy. Our pricing is the most competitive in the interpreting marketplace. Whether you are a pay-per-use or monthly subscriber to our service, you pay a nominal fee for access to our platform and a per minute fee for use of our interpreters. There are no minimums and you only pay for the time you use. Our Affiliate Partner program is a formal membership program for Language Service Providers engaged in documents translation or localization segments of the language services market, whose customers may also seek interpreting support. There is only a membership fee requirement for Affiliate Partners; no other fees apply. We have worked with tens of thousands of deaf and hard of hearing consumers and managed millions of voice and text-based interpreter conversations. We take the same approach with each of our spoken language clients to ensure the timeliness and quality of their experience. We are honest and straightforward. We honor our commitments and strive to exceed your expectations as well as those with whom you communicate when using our services. Your opinion matters, and how you rate your experience becomes part of a 360° internal communication process designed to continually improve the customer experience. Your voice is paramount to how we work. We work collectively with our customers to generate new, creative ideas for our products and services so that we continually innovate and help to remove real world communications barriers. Challenge conventional thinking is core to how we work. We are committed to delivering innovative products and services along with the highest quality customer service, taking care of the details and letting you focus on the needs of your customers. Try Connectivity today! Join our team of professional interpreters and experience the difference. Try Connectivity today! Experience the benefits and market potential of real partnership. Try Connectivity today! New value for Your customers at no cost to You.